Austrian plug-in sales were up 22% in 2018, to 8.848 units, placing the PEV Share at a record 2.6%, a 0.5% share rise over the 2017 result (2.1%). The great surprise in December was the Hyundai Kona BEV scoring 143 deliveries, a new personal best, allowing it to jump four positions, to #6, making it a 100% BEV Top 7 in 2018. Looking at the models yearly ranking, the VW e-Golf won its first Best Seller trophy, with 1.836 units, a new all-time high, and three times the 2017 registrations of the German BEV. The four times winner (2017; '16; '14; '13) Renault Zoe this time ended in Second Place, with sales dropping 16% YoY, while the Third Spot saw a last minute change, with the Nissan Leaf surpassing the BMW i3, with the German hatch dropping to its lowest place since 2014, and the Japanese collecting its first medal since 2013. Looking at PHEVs, the Porsche Panamera PHEV secured its first trophy in this category, resisting to the advances of the #10 Mitsubishi Outlander PHEV and #11 Mini Countryman PHEV. Underlining what can be a promising 2019 for Korean makers, the Kia Niro EV landed in December, with 16 deliveries, promising to be another Top 10 model coming from the Hyundai-Kia stable. In the manufacturers ranking, Volkswagen won its first title, with 22% share, followed by last year winner BMW (16%, down 1%), and Renault (13%, down 1%). Looking into 2019, Volkswagen will have a hard time to retain both titles, as it will be a transition year between the e-Golf and the next generation BEV, the ID Neo. The two strongest candidates to win #1 will be the Hyundai Kona BEV, possibly surpassing the 2,000 units, as long as they get enough batteries, of course, and the Tesla Model 3, that in theory can reach some 4,000 deliveries, but it could be hampered by Tesla focusing its deliveries in larger markets, like Norway, Netherlands or Germany. What did BEVs and PHEVs do in 2018 compared to 2017? Is this data available? This is a BEV-friendly market, with all-electrics representing 75% of sales in 2018. In 2017, the share was also 75%. The Austrian market is clearly showing how BEVs can reach mainstream: needs to be competitively priced against conventional ICE vehicles, hold battery capacity between 30KWh to 60kWh and in terms of size: compact. 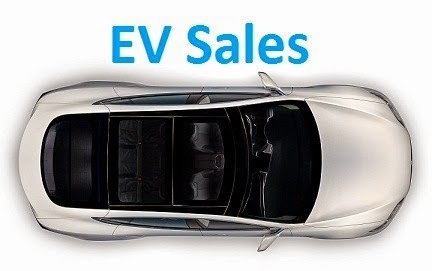 This year winner, the e-Golf shows this very well as his sales progression has been impressive. Since the next Volkswagen Neo isn`t expected to reach showrooms in 2019, there are great chances for the e-Golf to continue strong and being a contender for a podium place along the Zoe and i3. Among Hyundai, the revised Ioniq might have better chances to be the brand`s most sold, than the brother Kona. Regarding Tesla, after peaking in 2017, the brand is already in rundown mode, maybe if the Model 3 manages to arrive the Austrian market at the end of first quarter, 2019 sales could surpass a thousand units. Not only Tesla has a logistic hurdle but also competition from Jaguar (I-Pace), Audi (e-tron) and Mercedes-Benz (EQC) will start to be felt.